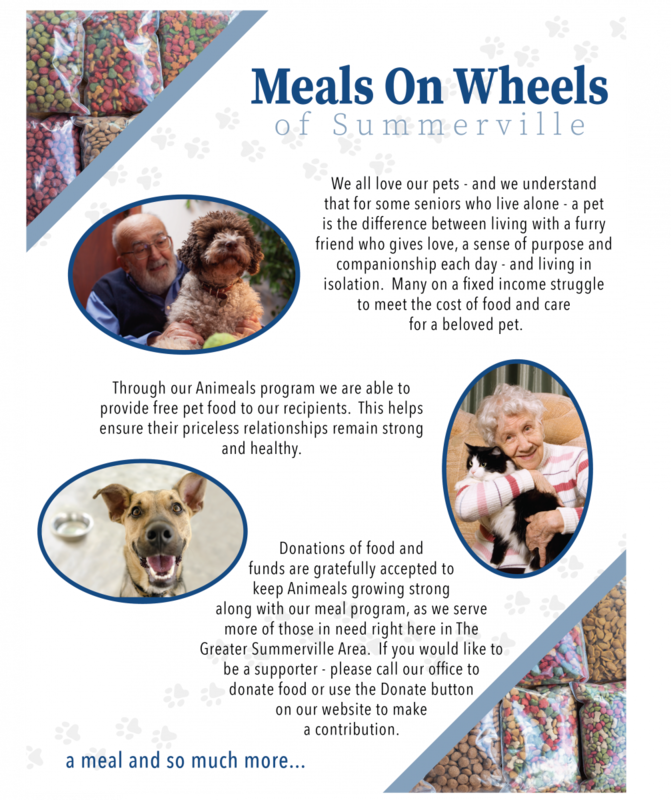 Our "Animeals" program is run by Kathryn Liberstein, a junior at Summerville High School. She is the current Miss Lowcountry Teen 2019 and will be competing in Miss South Carolina Teen this summer. She challenged herself to create a community service project as part of her participation with the Miss South Carolina Scholarship program. Kathryn secures pet food from local partners, coordinated the food based as closely as possible to the breed and specific needs of pets that belong to our current meal recipients. She disperses enough pet food to last one week. What a joy it is to have Kathryn coordinating this entire project.